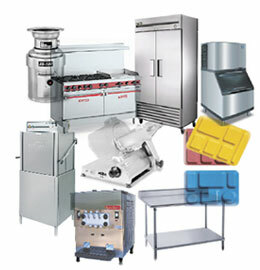 Foodservice Equipment and Supply. From Design to Delivery. Real people committed to solving your real challenges. With more than 25 years of experience in the foodservice industry, Dietary Equipment’s consultants have earned the reputation of being reliable foodservice specialists for all your equipment, supply, design, and installation needs. We believe in building relationships with our customers, whether you are ordering online or in person. Dietary Equipment is a member of the Excel Marketing buying group. Providing solutions for customers of all sizes—from local restaurants to large institutions. Whether you need everyday items for everyday foodservice or you’re equipping and supplying a large-scale international project, we’re here to help. Dietary Equipment is a GSA contract holder (#GS-07-F-0082J). We also serve several buying groups in the healthcare industry. We provide that same excellent service and attention to detail to foodservice customers of all sizes. For premier service, support, design, installation, and timely delivery, call Dietary Equipment at 1-800-755-4777.